SOFR debt issuances continue to increase and evolve. The maturities are beginning to extend and callable/puttable bonds have been issued. Expect the list of issuers to expand in coming months as more players gain comfort with SOFR. 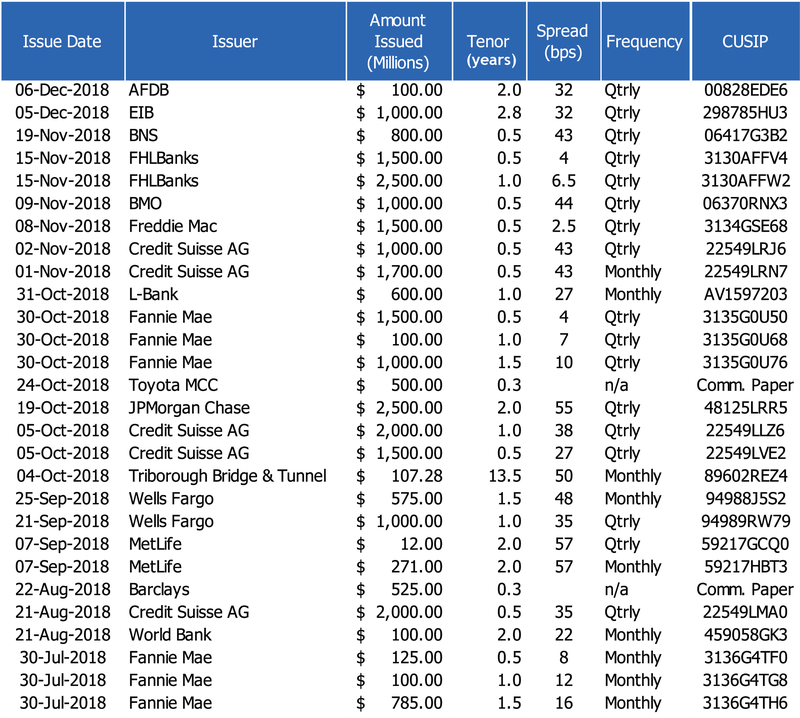 Total cash issuance is now over $26B. 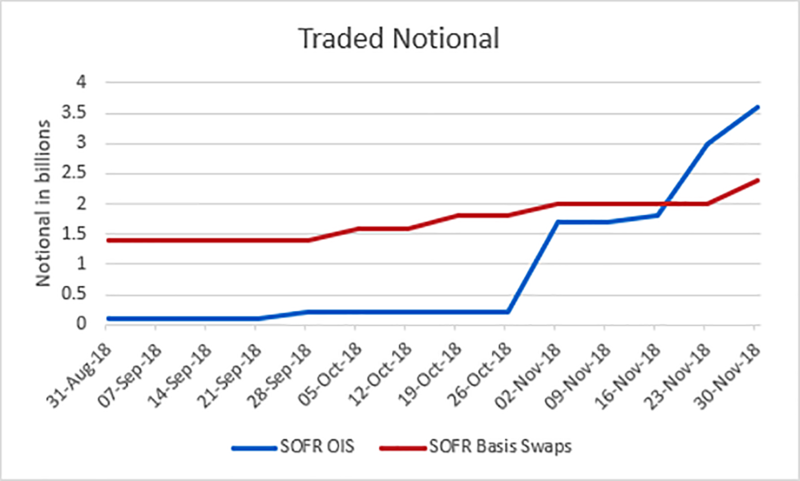 Over the course of November, ISDA's analysis shows the total notional of SOFR OIS swaps exceeded SOFR basis swap notionals while there were actually more SOFR basis swaps traded than there were SOFR OIS swaps. See ISDA Analysis for more details. 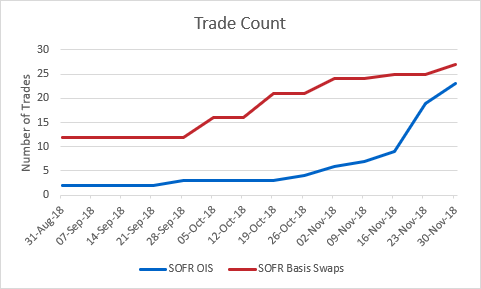 3M SOFR futures now extend out to March 2021 and trading has surpassed 800K contracts. For more details, check out the latest SOFR futures recap from the CME.